Why is Jaguar Called Jaguar? Jaguar probably doesn’t sound like a revolutionary brand name to our modern ears, but in the 1930s, when the company’s name was established, it was as bold as their stylishly designed sports cars and sedans. 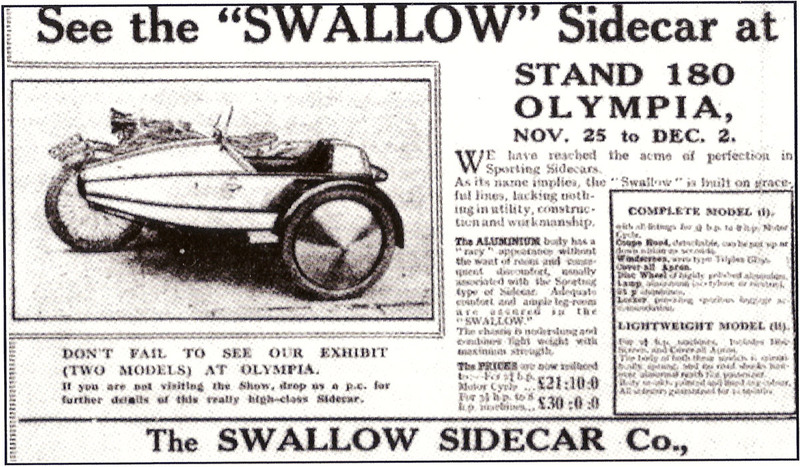 When Billy Lyons and William Walmsley, two neighbors living in the seaside town of Blackpool, England, started the now globally famous corporation, it was originally called the Swallow Sidecar Company because this was exactly what they made: motorcycle sidecars. Their sleek and aerodynamically sound inventions were a big hit on the English automotive market and the neighbors soon found themselves brainstorming dozens of ideas and designs to fulfill the clamoring for their inventive wares. Lyons, who was the main designer behind most of the Swallow Sidecar Company’s models, soon decided to step up their production by manufacturing sports cars, or as they were called back then, sports saloon cars. After the new business model was settled, Lyons and Walmsley knew the old moniker wouldn’t do. So in 1932, the Blackpool boys dropped the longer name and opted for the acronym SS, which they thought had a visually distinctive appeal. Later that year, the SS 1 was released, becoming one of the first sports cars ever produced. The SS 1 was outfitted with a 2-litre, 6-cylinder engine and came in an innovative coupé or tourer style designed by Lyons. It was an immediate success. Why is it called Jaguar? As Lyons and Walmsley’s company became increasingly popular, they wanted a name that would reflect the feline-nimbleness of their new 2.5-litre, low-slung sports car. The first car to officially bear the Jaguar name was the 1935 SS Jaguar 2.5l Saloon. This car quickly became a best-seller and the company realized they had a sensation on their hands. It wasn’t until another decade that Jaguar became the company’s official name. As World War II ravaged much of Europe, the letters SS became synonymous with Adolf Hitler’s security force, the Schutzstaffel, also known as the SS. Since the SS Jaguar had been one of the company’s first bonafide breakthroughs, Lyon and Walmsley decided to drop the SS and stick with the big cat moniker that has become so indelibly tied to the brand’s elegant cruisers. Though it seems doubtful that Lyons and Walmsley were aware of it, the word jaguar comes from the Native American word yaguar, which means “he who kills with one leap.” Had they known, the Blackpool neighbors might not have objected. Since its beginnings, the iconic sports car has been fierce, ambitious, and on the cutting-edge of the luxury car market. From its inauspicious beginnings as a motorcycle sidecar manufacturer, Jaguar has set itself apart from its competition by not only anticipating what high-end car buyers were looking for in the post-war era, but also by developing design trends that were revolutionary and soon became the standard-bearer for sophisticated sports cars in the 20th-century. What are some other animal names that could have represented the Jaguar brand?